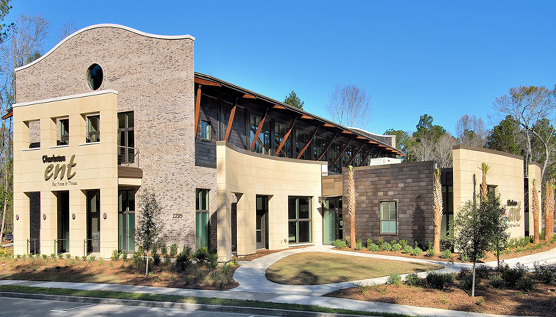 Charleston ENT Associates (CENT) is Charleston’s largest private ear, nose and throat (ENT) practice, serving five South Carolina counties with 11 locations, 23 physicians, and six mid-levels, with plans to add additional providers in the near future. CENT chose MediRevv to take on day-one self pay collections. The clinchers for CENT were MediRevv’s educated team members, who handle CENT’s patients with both knowledge and compassion and access to high-performing technology that improves revenue as well as the overall patient experience. MediRevv’s processes and resources enabled every self pay account (all 8500 of them) to be worked during the crucial first 120 days, which resulted in higher patient payments and fewer bad debt placements. One common goal CENT and MediRevv shared was to increase patient payments by offering cleaner, informative and easy to read billing statements, enabling patients to clearly understand what they actually owe. MediRevv also enhanced CENT’s statement logic, allowing a net balance statement to be sent to the patient. MediRevv took on inbound calls and implemented outbound calling strategies leveraging propensity-to-pay and segmentation tools to follow up balances proactively. CENT’s staff was able to stay ahead on charge entry to send claims out more quickly, and they witnessed an immediate drop in days in A/R from the go-live with MediRevv. MediRevv alleviated some of the workloads for CENT front desk representatives so they could dedicate their resources to effective charge entry. We also took the pulse on each of the stages of the statement cycle and created workflows to efficiently collect on all accounts. The result was higher patient payments. MediRevv has freed up the Central business office and front desk brainpower to improve A/R, speed up cash flow, and provide better customer service. The collaboration between the front desk, CBO, and MediRevv has been outstanding. This is how we’ve kept pace with volume and even surpassed it. MediRevv’s partnership with CENT has introduced new process improvements, increased revenue, and helped internal staff with workflow. MediRevv’s technology and processes offered CENT cleaner statements, increased CBO productivity, internal staff retention, and outbound calling practices which have all contributed to a successful engagement. Read how Charleston ENT partnered with MediRevv as an extended business office for self pay functions.